Skip to talk 1 (03:44), talk 2 (23:02) or talk 3 (40:52). Paul: Hello and welcome to the Boagworld show the podcast about all aspects of digital design, development and strategy. 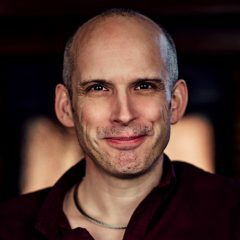 My name is Paul Boag and joining me on this week’s show is well, nobody really. Its all gone a bit horribly wrong. As you will know from last week’s show Marcus is away on holiday at the moment which is very nice for him. His 28th holiday of the year, which you’ve got to respect really for somebody who says they work really hard! Anyway, I was supposed to be joined by Andy Clarke on this week’s show but we had a little bit of confusion over time zones, bless him. I mean he is in Australia now and he is kind of… He has adopted that laid-back Australian lifestyle and so really just couldn’t be bothered to turn up I think is the main thing. Apparently he got confused over British summer time but you know, I’m not sure I believe him. But anyway, it leaves just me. Which is interesting because I have not done a podcast by myself since about episode six. So that’s what, six years ago? No, 10… no, more than 10 years ago. Flip me. Gor, I feel so old. So, I don’t know how this is going to work, we will just have to kind of see. It doesn’t help that I’m also dying of hayfever. I have never had hayfever like I’ve got it this year. It’s like, it’s the curse of being British, we spent our whole lives complaining about the rain and the weather and then when the sun comes out we immediately get hayfever and burn ourselves horribly. So there is really no pleasing us but there you go. So, we’ve got some great stuff lined up on this show. We’ve got three talks so don’t worry you don’t have to listen to me talking at you for an hour! I imagine it is probably going to be a bit of shorter show this week because it is just me. But, we have three talks coming up. You will actually get to hear Marcus because Marcus is on this week’s show as he is doing a talk which is kind of weird. But it is great because I get to pick it apart afterwards which is always a nice feeling! We have also got a couple of other brilliant talks lined up as well so there’s lots to look forward to in this show. So as it’s just you and me this week I think we can dispense with the normal waffle and jump straight into our first talk which is from Frida. She is a front end designer and developer for a small web agency called red onion based just outside of Stockholm, Sweden. It always amuses me, take a random object add a colour and you’ve got the name of a web design agency. Red, onion. Love it! For six years she has been helping people realise their app visions. You know, how to actually build an app and gets it up and running. They have built apps that calculate environmental impact, map personality profiles as well as more business orientated and intranet, kind of social intranet type apps as well. So big range of different work that she’s worked on. What she is going to talk to us about today is this idea of going from idea to application. How do you get from “Oh, I got an idea for an app” to actually making that happen. So, over to Frida. Play talk at: 03:44 – Some tips, advice and help to avoid the most common pitfalls when navigating the road from idea to finished application. In the presentation, “app” refers to both mobile and web apps. For a more in-depth approach on some of the topics, learn more at the Red Onion blog. Hi, I’m Frida Nyvall. I am a front end designer developer Sweden. Today going to talk about the journey from idea to application. Apart from mobile apps I also include websites or platforms offering services like Facebook, Etsy and airbnb in the app concept. Obviously, those examples are huge but you get the idea. Also this is aimed at normal people and smaller businesses. The process is of course, a lot different if you are backed by billions. Say if you are a super entrepreneur or represent a very large corporation. So, often we are struggling with a task or trying to solve a problem. Haven’t we all sometimes said to ourselves “There should be an app for this,” “I wish there was an app for this” or “I had the idea of an app just like this years ago but why didn’t I make it happen?” Don’t be disheartened instead congratulate yourself on completing the first step on the journey from idea to application by actually coming up with a smashing idea. But before you take that leap of joy make sure that you are not the only one thinking that the idea is great. Do some research and with people you trust preferably from the app’s future target group. Before our thumbs up your next step is explaining your idea to even more people. The next step on your journey might prove a little bit more challenging. Transferring your great idea from your mind to a document is hard work and some would even say even outright boring. Even so the rewards for doing your homework will outweigh those long hours you spend drawing arrows in PowerPoint and fighting formatting in word. A detailed and well written project description will help convince the investors, developers and other potential partners that your ideas are indeed is great and outstanding as you promised, you know, in your fantastic elevator pitch last night. It also helps keep the project scope clearly defined making the project easier to assess. A useful tip is to be sure to drill down to details and be as specific as possible. Take some time and think about what you want the core functionalities to be. Which functions are nice to have and which can be added in the next version. Focus on the essential features in the first version the nice to haves can come in later. This will have produced the initial investment and hopefully leave some extra cash to invest in promoting the product. A warning however, do not, and I repeat, do not, underestimate how boring this work can be. In fact it is so boring that a lot of people tend to rush or skip doing this step completely which I think is a big mistake. So, this is what happens. Instead of asking for quotes on a clearly outlined and designed project they ask for a quote on a link and a URL. They go “I’d like a quote on building a copy of airbnb. Now I don’t have any project description and I don’t need that because you can just code from this site, Airbnb.com, and see for yourself. I want it to be just like that, all of it, okay?” Then they get the quote which probably also comes with a heart attack because they will never hear anything from them ever again. So, sitting down taking time to go through the details of your idea will not only lead to a better app, as a bonus properly defining the project will also help getting more accurate time and price estimates. The next step is perhaps where the most projects lay down and die. It is like a fork in the road with a sign saying “Do you have funding? Do you need funding? Are you broke but determined?” Don’t worry all roads lead to Rome but some will take just a little bit longer. If you have funding for a project lucky you, your next destination is to find someone to make it happen. If you need funding your next stop is to start reaching out to potential investors. If you have done your homework and have written a kick arse project specification that will be very much in your favour. There are various strategies for attracting investments ranging from selling home-made lemonade, starting a kick starter campaign, calling your rich uncle, applying for grant money or doing social media campaigns to get attention. And of course contacting known investors and organisations. Well, yeah, the part about lemonade was intended as a joke but the truth is getting investments is hard and you might need to get a little bit creative to get at least enough funds to get started. Just remember that a common practice when you have some funds, but maybe not enough to see the project through from start to finish, is to get equity in the project to people and services you need but can’t fully compensate. In general the more time and work you are asking your partners to invest the high risk they are taking. Risk in turn has to be compensated. If you are broke but determined there is always the option to do it yourself. How difficult it will be or how long it will take naturally will depend on your familiarity and existing experience with the field or topic as well as how much time you are willing to dedicate. At university I once had a professor who when asked to explain an assignment came up with the following encouraging quote delivered in the deep American accent. “It’s easy, anyone can do it, students can do it you can do it.” This gave me no clue on how to solve the assignment but at least it taught me that there is a difference in knowing something and being able to pass it on to others. So, to sum up for most people it will generally take less time to find someone to hire to do the job even if your budget is really small, compared to how long it would take learning all the skills to be able to create an app of similar standard yourself. And that brings us to the next step, how to best find someone to make it happen. Finding the right partner for a project that is very close to your heart isn’t always easy. Most begin by asking acquaintances and relatives, posting requests, adds and social networks and job ports. A common mistake many people make when seeking help is the way they describe their needs in relation to the project. If the project is described as revolutionary, requiring expert knowledge from over a dozen areas of expertise it doesn’t make sense to describe the process of building it as fairly simple. A lot of people do this in the hope of making the project work cheaper. But all it does is scare away potential partners because it gives the impression that they don’t value the work that has to be put in. Another challenge is to estimate the time and price suggestions from potential partners. It’s a bit easy to become just a little bit too hopeful when it comes to how long it will take and how much it will cost. My best tip to avoid disappointment is to examine existing competitors or companies with similar services or products. What does there turnover look like? How many employees do they have? How is the organisation distributed in terms of, for example, finance, marketing, development? Then, try to position your idea and project based on these facts. It will help you get a general idea of the resources needed to make your idea come to life. If it isn’t possible to procure as much resources as your competitors consider various other ways to differentiate the product. So, after successfully finding a partner in an ideal world you living happily ever after producing the most amazing app ever. However, there are a few pitfalls that could put an ugly end to that rosy future. First up is recognising that design is more than just pretty pixels. It’s not just putting something together that you think looks nice, it is about creating a product solves problems and solves users needs. And at the same time it invokes feelings and actions you want people to take. In most cases this means make people feel good about giving you money for making their lives easier by using the app. Remember, just because your favourite colour is black it might not be the colour that works best for the app. Second is realising the importance of user experience and the impact this has on the app. In most cases you are not creating an app to be used by just a few people in a certain demographic like white, middle-aged males with higher than average income, no disabilities, using the latest iPhone with a high-speed Internet connection. The average user might actually not be you so make sure to acknowledge who they are and give them a good experience using your app. And finally don’t afraid to ask for help, just because it is your idea and ambition you don’t have to know the solution to every problem. Your team can help you but only if you let them in on what the problem is. So don’t make more work for yourself by presuming that you are the only one that can solve it. For example, trust your designer to decide if comic sans as a general typeface is a good idea for inspiring the feelings of creative and modern professionality that you have been pitching. In short respect design, respect the user and, in the role of project owner, delegate don’t try to micromanage and all will be well. How to do successful marketing and becoming an app billionaire will have to be investigated in another episode. The only thing left to do now is to prepare for success. Time to decide on your signature outfit, just remember grey T-shirts and black turtlenecks are already claimed! Since this is a Boagworld podcast I wouldn’t like to end without telling a joke. So… “On her way home my sister, who is also adopted from South Korea, was once asked where she came from. Without thinking she answered – from the parking lot!” Thank you for listening. Paul: Okay, so that was Frida. Great talk from her very much appreciated. Nice to get people from all round the world. It is amazing isn’t it, she is from Sweden as I said in the introduction. So yes, good, good. Now her talk I found very interesting and very inspirational and there were certain things with it that really resonated with me. One was this thing about doing your competitive analysis. I remember back in the day when we created our first app called “Get sign off” which, to be honest, was a train wreck from beginning to end. One of the things that we got wrong was the competitive analysis. We did do it, we did take the time to look at and see what competitors were out there but we didn’t do it very thoroughly and as a result we thought we had a niche all to ourselves when infact we didn’t. It turned out that the other people that had approached the problem had approached it in a better way, let’s be honest about it, and had done a really great job at it. It is so easy to skip over that kind of competitive analysis because you get so enthusiastic and so passionate about our projects we just want to get going with it. But it is so important that we do it and that we do it thoroughly. I also liked, obviously, her whole bit about focusing on the essential features, the idea of creating a minimal viable product. I think that applies pretty much whatever you are building even if you are building a content heavy website start with the minimal viable product and go from there. That is something that I have written a lot about and I am sure my gorgeous wife who transcribes the show will put a link in the show notes at this point to where I have written about Minimal Viable Product. The other thing that I thought was very sensible what she was saying was the whole thing about as you are budgeting, both in terms of time and money for the project, how important it is to think about the promotion of your application. It is so easy to be so focused on building the thing that you forget that the almost bigger job of promoting and managing that app over the long term. There is significant time and monetary investment involved in promoting and making sure people hear about your product. Because it can be the best product in the world but people won’t use it if they have not heard of it. So the marketing and promotion of a product is absolutely essential. I also really liked her comments about designing for white men with higher than average wages and no accessibility issues. A little bit of a dig but not an entirely unjustified one. The truth is that the vast majority of us that work in this industry do fall into that category for whatever reason. The result of which is that we have a tendency to think everybody is very much like us and design for people like us but really that applies whoever you are. Whether you are a man or a woman, whether you are whites or from some other ethnic background or whatever the case, we all have our inherit biases, we all have our way of looking at the world and seeing the world. It is very easy to think that everybody is like us so as you design apps you have to remember that that is not the case. That there is a wide spectrum of people. Also we do tend to naturally have the tendency to socialise and hang out with people that are like us that think like us, if we are techie we tend to hang out with techie people. So we get this very biased view of the world, this kind of bubble that we live in. So it is incredibly important that we break out of that bubble if we are going to build something like an app, to understand different audiences and that is why life experience is so important. Whenever you are designing anything really, that and meeting with your users and finding out what they are really like. One of the things that I have found most enlightening of anything that I have ever done is where I have actually gone and visited users in their home. Because if you bring them into a usability lab, yeah, you get a little glimpse of their life and you see a little bit about them but going to their home you really get to understand them, how they think, how they see the world, what their technical knowledge is et cetera. So really make sure you do that. And also I would encourage you to socialise with people that are from a very different background. I go to the pub once a week with a guy who thinks what I do is ridiculous. He thinks I get paid money for doing nothing and just for talking. He works with cars which is very tangible and very real. He doesn’t like computers and so he is a very enlightening voice. But I know lots of people like that and I think that’s very healthy, that’s a healthy way to be. So, thank you Frida so much. I ought to see where you can find out more about Frida. You can find out more about her at redonion.se. So make sure you check her out. Okay, next up we talk about our sponsor which is Teacup Analytics. Teacup analytics, we have had them on the show before talking about their amazing analytics package and how they make it so simple for people to understand the kind of complexity of what lies behind Google analytics and, you know, all that kind of really complicated stuff that does your head in! But actually I don’t want to talk about that today instead what I want to talk about is a new product that they have that Teacup are making AdWords effortless. Because you know that running AdWords campaigns in Google AdWords can just turn into a giant headache. If you ever have tried doing it you will know what I mean. There is keyword research to be done, you have to work out your campaign structures, you have to write your ad copy in a compelling way. Then you have to create landing pages that are relevant then you’ve got to manage all your bids and you’ve got to optimise them and it can take hours of time each month. Well, Teacup now offer a new tool which makes AdWords as effortless and easy and straightforward as the analytic stuff that they do. I was very impressed when I saw it. So here’s how it does it, basically Teacup starts by helping you find the right keywords, right? So it asks you to answer a few simple short questions and then Teacup will create both the ad. and relevant unique landing pages to go with that ad. just based on some simple questions. Once the campaign is running Teacup is then going to handle all the bid optimisations, it is going to deal with negative keywords, it is going to test your ad. copy for you and everything else in between. It really is quite remarkable piece of technology. So it is currently in beta and they are looking for beta testers to share their ideas and needs and obviously they thought of you guys. When they were last sponsoring the show, they got so much really good feedback from you because you are there kind of audience, aren’t you? So, they thought they would try it again. So Teacup are offering currently limited invitations to their tool and you can sign up for early access at Teacupanalytics.com/AdWords. They would love to hear from you and you get involved in creating it so if you have worked on AdWords campaigns for your clients and would like to simplify the whole process or if you do it yourself then get in contact with them, they would love to hear from you. So next up we have a talk from someone called Marcus Lill – , no, I can’t get a surname. Yeah, so, a bit of a weird one this one… Phew. I nearly didn’t include it, it didn’t feel like it was the kind of quality that we had on the show but I thought you’ve got to give new voices a start so Marcus Lill-ing-ton? is a young whippersnapper who started a digital agency called Headscape limited and he cohosts something called the "Boag-world show and in a former life used to be a pop star on a band called Breath. At least this is what he tells people! I imagine, you know, not very realistic is it that he actually was. But today he spends most of his time working with clients to improve their digital presences. So I will quickly play this one, lower your expectations, but he is trying really hard, he’s trying really hard to share what he has learnt about limiting design iterations. So yeah, here you go, here’s Marcus. Play talk at: 23:02 – How do we manage the design process without annoying our clients, demoralising designers or, ultimately, going out of business? Many people think we need to limit the numbers of iterations of a design. Some people think providing unlimited design iterations to a client is akin to giving them a blank chequebook. I disagree. If you manage the process correctly, you can offer unlimited design iterations in the knowledge that you won’t be working on a design any longer than someone who limits iterations. Way back in the late eighties Marcus was in a pop band called Breathe. But, with such things inevitably coming to an end, he was obliged to find alternative employment. This led to meeting Chris and Paul while working at a dot com in the late nineties. In 2002 they combined forces to form Headscape. Hello, this is Marcus and I am going to talk about design iterations and whether we should limit them or not. This talk came from a chat in the Boagworld slack channel where they had a huge fear of doing work that is not being paid for which obviously is kind of fair enough. Nobody wants to do that, we would all go out of business so the fact that I’m even talking about this suggests that there may be another way. But going back to this idea of limiting the number of iterations in a contract, I guess everybody knows where they are, client and agency, freelancer knows exactly where they are. “We are going to do two or three iterations and then done.” But what actually happens when the iterations are used up but the design isn’t agreed upon? Everyone is happy of course… Not! I would suggest. You would basically have to renegotiate your contract, make an amendment saying “we’re going to do another two iterations for X amount of money,” and you have to go back and forth which is wasting your time, in the meantime while that’s being agreed upon. Then what happens when you do those two extra iterations and the design still isn’t agreed-upon? Basically I suggest that everybody is going to end up not very happy. As an aside, if you think that your new client will try to exploit you, in other words that they are looking to get you to do more iterations in the design purely as some sort of financial win, then I would suggest that you shouldn’t work with them in the first place! To put it a different way, any client who views you as their supplier slave, in inverted comas, rather than their equal design partner will bring you pain and misery every time. I was talking about this in the office the other day before I put this talk together and you know, everybody says said “Yeah, well sometimes you know you have to take the work on if you’re in a difficult place and you have to put food on the table” and all that kind of thing. And I disagree with that, I think that if you take on a job purely because it is going to provide you income but in the end it will probably mean that you end up losing money then you are going to end up being worse off and more out of pocket further down the line. So you need to learn to walk away from clients who you think are going to exploit you. That was aside number one. The aside number two, this goes back to the days of basically from print design where clients had an expectation that their designer would bring them usually three different design themes that they would deign to pick from. “I am going to have number two design and I want you to run with that one.” And obviously designers got wise to that they would do three designs and ensure that only one of them was really appropriate and nine times out of 10 the client would pick that one. So there was a bit of a game involved there. We walked away from that many years ago because, as I was previously implying there, it puts all of the kind of power in the relationship on the client. It suggests that you are just delivering some kind of project product that they will pick from and then send you away again. There’s no collaboration in that relationship so, again, if you are still working in that way of “Right, we’re going to do three homepages for you in different styles and you can pick one, let us know which one that will be and then we will go away back to our design cave and continue to work on that particular style,” then I suggest that that whole process is suggesting that you are going to have to iterate, iterate and iterate. Whereas if you go down a different route which is what the kind purpose of this talk is, where you are being more… Where you have more of a partnership with your client and you are working collaboratively together on it then the chances of them thinking “Oh, you’ve got that wrong and therefore you need to go and do it again” are much lessened. So, how do we do that? The real key is ensuring that your client has a major role in setting the design of whatever it is you are designing for them. So that they are bought in and they therefore don’t get a kind of a surprise, effectively, when you present designs to them. Because going back to my previous example of the designer going to the design cave, often designers like to work in that way. Kind of like “Yeah, give me a brief and I’ll go away and hide and come back with a wondrous stuff.” What happens with that is you might have had an hour-long meeting or maybe you are just working from a written brief and come back with all of this kind of cool stuff and it doesn’t really fit what your client wants at all. They will therefore reject it and say please can you go back and try again. And you go back to a design cave, you might have had a short conversation with them about why it was wrong, but equally you might not of done, it might have just been “We don’t like it.” So…“We don’t like the blue, can you make it not blue?” So you go back to your design cave and do something that is not blue and so on and so forth. It’s just not a great way of working. We have, over the years, found out that a very good way to kick off projects is to have really quite long and in-depth face-to-face workshops. Really to give clients the opportunity a), to get their say on how a design should work but also to understand what we need from them to make a design work. It is kind of to say “Look, this is your role in this process.” Their role tends to be – we have this business or organisation or whatever, we have this audience. The audience wants this from us, our character of organisation is this and really get into the nitty-gritty about what this organisation does, what makes them tick et cetera et cetera so that we can learn from that and produce designs that are representative of that. And the kind of initial workshop ideas that we do around look and feel design kind of really delve into that. One we do is something called the reception area exercise where we will ask… well, we will split people into teams at the workshops and say to them “Right,…” Got a whole bunch of questions we give them, we give them a questionnaire where we are effectively asking them to design a reception area for their organisation. Something that represents their organisation. The point of it is that they are providing ideas about aesthetic things but not focusing on buttons and navigation and webpages and the like. And, you know, you tend to get a lot of similar answers. You know, like “We like it clean and airy,” “lots of space” and all that kind of thing. But you will get certain quirky things that come out of that process that we can grab hold of and take to the design. And we will talk about that thing, that quirky thing that grabbed hold of and we will run with that particular thing as a theme. It was that idea came from the clients so they’re expecting to see something that fits with that. We also… We do a lot of mood boards. We will take certain themes from a brand and we will create different mood boards based on those different themes or words or phrases, that kind of thing. Strength or innovation or something like that. We will create mood boards around those things but another exercise that we like to do in these workshops is to get the client to create mood boards. We will have done the reception area first, and we will come up with a whole bunch of descriptive words around what that reception area looks like. We can apply some of those things to a website design. So we got all of those things up on the board that people can pull from and we will, again, divide them up into teams and we will normally have a kind of mental, for want of a better word, from head escape who will sit with each one of the groups and basically kind of pull all the ideas together. We will, you know, look at different image styles, colour pallets, fonts, textures all of those kind of things and just create mood boards with the client. Again, the purpose of this is they are pushing it. It is coming from them to start off with. And again, quite a lot of it might not be worth an awful lot to the final design but there will be certain aspects of it that are really valuable that we can pull into our design. It is not just a designer going away to their design cave and coming up with something that they think looks great. They are really, really well informed and they have collaborated properly with the client. What all of this means, doing all this stuff together and ensuring that there isn’t this “Ta-da” moment, that we’d been away doing our design work and we come back and we go “Here we are, we have done this wonderful work” and the client says “Well, I didn’t see it going that way. I would likely you to do another iteration of that.” Working in that way means that we can say to our clients “We don’t limit design iterations. We are happy to just work on the design until you are happy with it.” We can do that without the fear that we are going to be working for a year just trying to get a design right. So, we tend to charge a similar amount, it’s not always the same, we know that some design processes are likely to take longer than others but generally speaking we will charge X amount of money or time to work on a design process based on experience of doing it in the way that we were have worked for a long time now. Sometimes it will take longer than that and that is fine because sometimes it will take less time than that and everything kind of evens itself out. It means that the bottom line of all of this is that we don’t get the unhappy client. We don’t have to go back to them and say “Well I know you’re not happy with the design yet but our contract with you says you are going to have to pay more if you want to do any more work.” Now that is just pain and misery for everyone all round if you do that. So we wanted to find a way of getting around that. The key to it is ensuring that the client has a major role in the process of creating that design. We have done that and experience suggests that working in this way means that we can say to people “We don’t have to limit design iterations” and we are happy and safe in doing that. So, that’s my talk for today, thanks very much. Paul: So, there you go. That was Marcus’s talk. And I have to confess it was quite good wasn’t it? Not bad for an amateur! I suppose Marcus has been doing this almost as long as I have now so he knows his stuff. If for no other reason than he has gone from one mistake to another. No, it was a brilliant talk and I have to say I totally agree with it. He talks a lot of sense doesn’t he? About design iterations. I think very much this idea of design iterations, functional specifications, waterfall projects, all the rest of it, it’s very much a relic of a bygone era. It comes from the pre-digital world and it is just not as relevant in the way that we work and the way that operate and the way that we can evolve the stuff that we do overtime. But I think there were more interesting points in there as well which were very easy to skip over because of the kind of the main theme of iterations. Things like we can’t allow all the power to sit with the client. That we’ve got to establish the working relationship as being a partnership between us and the client. I think that was a really great point that Marcus made and I absolutely and utterly agree with it. I also agree that it is much better to walk away from unhealthy clients. He talked about that several times and he is utterly spot-on. And I know that that is really hard to do when you are a bit desperate for work and you think “Oh, I really ought to take this.” But almost always those projects are doomed to failure. It is as if the client can smell your desperation and we can’t get into that kind of environment. Also we would be better off spending the time that we would have spent working with those kind of unhealthy clients to actually focus on winning better clients. You know, if you fill your time working with crappy clients then you are never going to attract better clients, you know, you are always going to attract more of the same so you need to step back in your business, even if times are tight and actually focus on winning the quality clients that you really need. The other thing that I took away from Marcus’s talk which I thought was really good was this idea of always including the clients in the design process. Actually get them actively involved. You know, still… And again this is kind of a hang over from the past. We kind of hold them at arms length and that’s why we have so many problems with design sign off because they’ve got no sense of ownership over that design. You know, they don’t feel like it’s their design and so as a result they don’t feel any problem or compunction with picking it apart. But if they are involved in the process, if they helped create the design not only do they understand the design better but they are also going to be much more likely to sign it off because they were involved in creating it. Not only that they will defend it to other people because it is as much their work as it is your work. So, brilliant talk on design iterations but please, please don’t let Marcus hear me say that. All right, let’s talk about our second sponsor of the day which is Fullstory. Fullstory offers an amazing set of analytics tools that really just take analytics to a whole other level. In my opinion it is the best analytics tool out there for us as user experience designers. Fullstory has loads of different features that I really love. One of them is called page insights which gives you a toolkit to learn everything that you need to about how users are interacting with a specific page on the website. So for example it’s got a click map. So these are like the heat maps of the future, replacing that kind of sploggy confusion with real kind of clarity by showing where people actually clicked on your page. Including when people rage click. You know, when they get really angry and just click again and again. Also it will show you errors and it will show you dead links. So if you see something interesting on that page you can add it to your search directly from the click map. So you can kind of drill in and get more details on that. Also, another thing that that page insights function offers is an inspect mode. You can watch a user interact with the page in real time and decide that you might want to know bit more about a button that they have clicked on or a text field that they have completed. So you can kind of inspect that and find out more details about what’s going on behind the scenes there by adding it to search so you can then see how many other people looked at that and all kinds of data. Anyway, don’t listen to me waffle on about it, go and try it for yourself. You can signup today and get a whole month of their pro plan for free. You don’t need to enter a credit card or anything like that and you can still continue to use it after the month, it will just limit the number of users sessions that you can have down to thousand per month which is still pretty generous. You can get a good indication of what’s going on on your site without paying a penny. So it is definitely worth giving it a go. You can find out more about them at fullstory.com/boag, B O A G.
So we come to our last talk of the day which is from Christina who has, oh, two decades of experience in digital marketing and also in dealing with a lot of the kind of legislation and limitations that are around that for both public and private sector organisations to ensure their online integrity. She brings clarity to how organisations operate when they do digital marketing within a kind of regulatory environment, customising policy frameworks that can give organisations a sense of security in how they deal with their digital marketing stuff but also allow them to fully leverage digital in what they are trying to achieve. So, she does some really interesting work. A little bit different from many of you and what many of you do but I have found her talk incredibly compelling and incredibly enlightening. So she is basically talking about the idea of digital integrity, the idea of ensuring that as we operate online do so safely from a legal standpoint but also from a best practice point of view. She talks about clarity and control and values and those kinds of stuff. It’s a really, really good talk, I would encourage you to listen to it now. Play talk at: 40:52 – Faced with complex multi-site, multi-language, multi-channel digital presences, organisations struggle to provide exceptional digital experiences. With the growing number of compliance requirements and international regulations, can you successfully deliver digital with repeatability and integrity? This talk describes how policies can help you achieve digital success with clarity, freedom and value. Hi there, this is Kristina Podnar. I know that managing digital marketing across the globe and in local markets can be a lot like parenting kids with ages ranging from toddler to teenager, maybe with a couple of dogs or cats thrown in for good measure. You are probably always multitasking, there is never time to give anything your full attention and some things linger at the bottom of the to-do list unless they become emergencies. But just as it is better to handle a cold before it turns into pneumonia there are some aspects of running digital marketing that are much easier, if not much less expensive to address before they turn into emergencies. If you are like me the problem is that there is a big difference between realising that and actually doing something about it. Awareness doesn’t magically lead to additional funds or more free time. Sometimes though you just have to shove your urgent issues aside so that you can take care of the important issues. To assist you in addressing your important issues I will share three ways to bring perspective to your organisations online efforts and the regulatory environments in which you operate. I will help you identify what you need to create a digital policy framework that will free your organisation to fully leverage digital channels for marketing and communications purposes while minimising the risk of losses, regulatory fines or embarrassing mistakes. The three specific things I’ll talk to you about are clarity, freedom, and value. So clarity begins with the insight of your organisations potential problems. Looking across the global enterprise into every aspect of the digital business. It extends to clear policies and actual programs that chart the path forward for leadership and it also helps the day-to-day digital workers understand what is in digital policies as well as what is behind them. As you work to bring clarity to your organisations digital opportunities and risks consider your industry regulatory and legal requirements, the size of your organisation and the geographical location where you operate. So let’s look at each one of these in greater detail. First, be clear on the digital regulatory and legal requirements for your industry. For example banking requirements differ significantly from those of life sciences and personal products have yet different online constraints. You should become familiar with what you must and must not do in digital space as a result of your specific industry. Second you should be clear on how the size of your organisation impacts your responsibilities. For example a product company that generates over $10 million in annual revenue from consumers in the United States and including California must comply with supply chain regulation that certifies products as being produced without the use of slave labour. A little known fact but important especially if you operate with Californian representation. And lastly you should really clarify the geographical regions and country market locations that form your digital requirements. For example, if you are collecting data on customers in the European Union, China and maybe Russia you should be aware that their information cannot be transferred onto servers outside of the individual regions and countries. That extends to cloud service hosting which can get specifically challenging because the clouds is as much of a concept as it is a specific place. So to summarise, understanding what regulatory legal requirements apply to your industry, what compliance requirements are applicable to your company based on its size and what you must do for your geographical operating locations, will help you gain clarity and get risky digital activity under control. The second concept I want to talk about is freedom. So freedom is really about policies not so much being a set of restrictions but a means of liberating your organisation from uncertainty, from risk and from internal chaos to take full advantage of digital opportunities. Digital policies that are built around your individual business that are responsive to its unique priorities and are flexible for its future actually empower the enterprise and they’re frameworks for innovation and not obstacles to it. As we look at how we to introduce freedom whilst also driving digital integrity consider the following. Policies really create autonomy within a digital policies framework. They let the marketing team do their job while reassuring auditors and legal council that the organisation is protected. Digital policies make the process of complying with key requirements easy and straightforward for digital workers. That is really, really important. So let’s look at freedom concepts in greater detail. Freedom within a framework means knowing where the guardrails are which allow staff to create and innovate within the boundaries of acceptable online, content, functional and even marketing behaviour. For example if a policy defines the aspects of branding that must be consistent across all of your digital channels such as the web, social media, mobile applications, portals et cetera, things like logo colours and fonts, then you can really let marketers be creative. In terms of what they are doing for a layout design and how they present information whilst still promoting the organisations signature look and feel. Second point is that freedom to operate digital channels is really important while giving other folks like legal counsel, privacy and security officers and definitely auditors comfort because you have key boundaries in place and they know that you are going to protect the organisation from really scary scenarios. For example if a privacy statement is not adequately added to each page of your website via content management system then auditors and your privacy officer can rest really at night knowing that the policy statement will always be there and that it will read consistently. That doesn’t always happen in an organisations. If you do this it will also help you in terms of updates on every page if a new requirement is required to the policy statement. So this allows your marketing team to really not worry about this type of an aspect or requirement, and they shouldn’t have to. They should worry about other things like the look and the feel and the messaging and individual webpages and websites. But again it allows those people who are most concerned about risk to take it easy and to relax and you can let business flourish as it needs to. And lastly freedom for a worker to do their job without tedious obstacles is a key goal of a digital policy framework. You should be thinking about things like short, clear, easy to locate and interpret statements and make certain that they are enablers. For example if you must comply with a number of country specific regulations it is easy for a digital marketer to leverage a checklist to identify those requirements and to also share them upfront with a design or branding agency. If you compare that to what many organisations do today, trust me I’ve seen it, you provide pages upon pages of guidance that are probably full of legal and technical jargon that provides subjective information that needs interpretation. That is just wrong, it requires additional steps for a marketer and takes away from their focus. It is an additional burden. So if you think about it, you know, today how we operate in the digital space there are lots of risks there are lots of issues, possible gaps to security. The most safe and secure approach really is to not do anything in digital. Just don’t do digital at all. But then consider again that it is the 21st-century and it is no longer an option. We have to have a digital presence, we have to operate online so instead of really aiming to provide digital that is constrictive, in that it is trying to protect the organisation, you should really aim to provide digital with integrity by creating freedom within the framework and also ensuring that legal and regulatory risks are as much as possible minimised for the organisation, those who are accountable for those risks are reassured that you are actually managing your digital business properly and paying attention and that you are also creating a mechanism that is easy to follow so that whoever is working the digital space can really have the freedom to focus on thier job and on doing that job well. So far I have talked about clarity and freedom. The last aspect I wanted to mention to you today is value. So value refers to ensuring your policies are usable. This is a little bit of a soapbox issue for me because if you set up prohibitions that employees ignore doesn’t help you or anyone else in the enterprise. Neither does a PowerPoint flow of platitudes or legalese that nobody can translate to their day-to-day work. Value is really realised from digital policies that actually work for your business and they pay off in digital driven revenue. So how do you drive value through the creation and and adoption of policies? First off create value by making policies actionable relevant and easy to access. I’ve already referenced that but if you take this following example I will illustrate it better. Don’t publish your policies as PDFs and place them on random places on your intranet. I know we have all had that experience, right? Most employees waste hours upon hours searching an organisations intranet which is where documents kind of retire and die! I’m giggling but it’s true! Instead you should create a repository for digital policies or maybe even use an existing organisational policy repository that you might have and extend it to house digital. That is also an option. In fact organisations that get most adoption of policys they tend to either extend an existing repository into a knowledge base or they create wizards and checklists that make it easy for digital marketers to tailor those requirements that you have to their campaigns, to their projects, perhaps to vendor contracts, whatever it is. So when you make it easy to comply with policies staff will more readily work within the required boundaries and follow them. The second point I have for you is that you should demonstrate the value of policies by incorporating them into existing tools and workflows. This might seem like a no-brainer but a lot of teams today forget to do this. For example many aspects of an accessibility policy can be embedded into a content management system. If you have ever thought about accessibility, how you have to actually tag images appropriately so that they can be read by an automated reader, you know that there are aspects that can actually be automated. There are other aspects however that require human interaction and so you can divide those up. The systems, enforced ones, like the requiring an image alt attribute tag to be added to an image so that a reader can automatically identify for somebody who is visionally impaired what the image is that is being displayed, that can be enforced via content management system. And yet other things like ensuring that there is enough greyscale contrast, offer readability or perhaps even some more advanced aspects of accessibility that needs human interaction, this can be added as a step in the preproduction workflow process. So doing this ensures that the organisation meets its accessibility commitment, it is protected from lawsuits, especially those on the rise in the United States and yet the burden on workers to continually be worrying about accessibility is really not emphasised in the creative or the publishing process. In that way you can demonstrate the value of policies by incorporating them into existing tools and processes. And last but not least you should really communicate how policies add value not create bureaucracy. I know that when I hear policies sometimes I get excited, I have to admit, I am a little bit of a policy geek but it also makes me cringe a little bit because I know the reaction that most folks have to the word policies. But policies if they are properly communicated and if there is a really good reason for them, not just to create bureaucracy, are helpful. For example if you are a life sciences company that requires marketing materials to be approved by a medical signatory before release, basically an approver, policies can really add value by shortening the time it takes to gain that approval. Not only does that create value for the marketing team but it also adds to the businesses bottom line because you are shortening the life cycles, getting content out there faster and you are also supporting the business value. So to summarise value is created by making policies actionable, relevant, easy to access, incorporating them into existing tools and processes so that they are not a separate activity and take additional time but they actually streamline the process. And then making the case and providing transparency into how the policies are helping make jobs easier in increasing the businesses bottom line is really key. All right, so today we talked about clarity, freedom and value. You can use these concepts to introduce digital integrity into your organisation so that you can fully exploit digital while preventing any unnecessary business and operational risk. While I understand you are busy, I think we all are, you probably have many urgent tasks on your plate I hope that you will take a bit of time away from the fire and focus on the important things otherwise you may have unwanted emergencies on your hands and I know that those are hard to deal with. So good luck, take care. Paul: So there you go, that is Kvristina’s excellent talk. You can find out more about her by going to KPODNAR.com. Now I absolutely loved her talk. I thought it was really good, I know you might be wondering how the hell it applies you in your situation but the idea of having clear policies and procedures I just think is so incredibly important when it comes to effectively running digital. This is a subject I spend a huge amount of my time talking about and writing about because it is so crucial. It is what will make an in-house digital team a success, or at least it is an enormous component of it. Because it provides structure and all of these other things. But you might be working for an external agency but even having structures in the way you operate and the way you work is really important and it’s something that you should be talking to your clients about. This is something, one of those things that really needs to move up people’s agenda, in my opinion, of actually putting some kind of structure and governance. The trouble is is that the web for so long was like the wild West wasn’t it?! We kind of did things on the fly and by the seat of our pants and we just kind of just went for it. But that is not a healthy way to run what has become a business critical feature so we really need to put the governance in place. Of course doing that is not always easy. Kristina says at one point “Sometimes you need to shove the urgent issues aside and deal with the important issues” and that is exactly what governance is. It is one of those important issues that unfortunately gets pushed out too often because of the urgent ones and so we need to make sure that we return to that and that we actually give it the priority that it needs. Another point that I liked that Kristina made which was really good was this idea that actually providing constraints, laying out the guidelines that people operate within provides people with a freedom to know their boundaries. It makes people feel safe. For example one of the big things that I often struggle with is getting people to contribute content within organisations, to write blog posts, to do social media updates and that kind of stuff. Often times the root of that is fear, fear that they are going to get in trouble if they say the wrong thing or do the wrong thing. They would prefer to keep their heads down. So if you provide a set of constraints within which they can work, they know that they are safe, they know that they are in a place where they don’t have to worry about all of that kind of stuff which is so, so important. Really good. And then the final thing that I really liked that Kristina said is the idea of embedding policies into the tools that we use. So for example a CMS. So when you go into a CMS and you are going to edit a page or whatever, just to have some guidelines of what you should and shouldn’t do. I don’t think that just actually applies to policies I think it applies to training too. We send people on these “Writing for the web” training courses and things like that or “How to use social media” but then it goes in one ear and out the other. But if it is actually in the tool where they are creating the content then it is much harder to miss. So there is some really solid advice from Kristina and I hope you found it as useful as I did. So, that is pretty much it for this week. I am going to share with you a Marcus type joke which is “I had a dream I was swimming in a giant ocean of orange soda, it turned out to be a fanta-sea” fanta -sea… See?! See what I did there? Probably not, I don’t know do you get fanta in other countries? It’s a type of orange soda. Yeah, should have thought that through a little bit more. All right, well never mind. Right, it looks like, I just noticed that Andy has put in an Australian joke as well but I won’t say that, I will let him keep that for next week when he does finally join us! If he manages to get the time zones right. But there you go. We are still looking for some talks actually for the show so if you would like to submit a talk you could do so by going to Boag.world/season18. I think we still need about 13 or 14 talks so there is still ample space to get you in. So, make sure you submit your talk and if you are worried in any way about it let me know and I am happy to review it for you before it goes out. I won’t let anything go out that is embarrassing except for Marcus’s talk! Okay, so that it for this week thank you very much for listening, I’m sorry you’ve only had to listen to me but hopefully it’s been an enjoyable show anyway. I just certainly enjoyed being the only one that gets to talk. I really feel that thats… Other people should just… Yes, anyway thank you, goodbye.